It is a joy to welcome new life into the world and to bring a child into the circle of the Jewish People. Rabbi Bellows is honored to work with families to arrange a meaningful ritual and celebration for you and your child. We welcome Jewish children into the “Brit”, or covenant, with a Brit Milah (circumcision ceremony) for boys and a Brit Bat, (covenantal ceremony) for girls. While Brit Milah is usually a smaller home-based ritual, public naming ceremonies for both boys and girls typically take place during a Shabbat service. Rabbi Bellows is available to meet with you before or after your child is born to plan the celebration with you, to discuss any questions or concerns, and to help choose a Hebrew name for your child. At CBSRZ we honor the Reform movement’s position on Jewish identity: All children with at least one Jewish parent and who are raised and educated as Jews are considered to be fully Jewish. To make an appointment with Rabbi Bellows to discuss a birth ritual, contact the CBSRZ office. 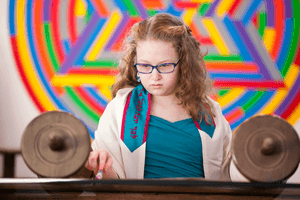 A young Jewish person officially comes of age at 13 and is recognized from that point on as a Bar or Bat Mitzvah, which means, a person who is obligated to fulfill the mitzvot. At CBSRZ, we celebrate this journey from childhood to adulthood at a Shabbat morning service. All students lead prayers during the Service, chant verses from Torah and Haftarah (Prophets,) and give a D’var Torah that teaches the community something important about the Torah portion gleaned by the youngster. All of our learners are well prepared for their Bar/Bat Mitzvah day. We are committed to setting the bar of success at a level appropriate for each young person to ensure a thoughtful, meaningful and confident outcome. Preparations begin 9 months before the celebration date beginning with a meeting with the Rabbi. A tutor is then assigned to work weekly for 30 minute sessions to ensure the student is ready to lead us with prayer and chanting. The Rabbi meets with the student during the last month of preparation to work on the D’var Torah. All of our students also complete a Mitzvah Project, a project that serves the broader community, drawing on his or her own talents and passions. Celebrations after the service take a variety of forms. Some are simple get-togethers at the home, some are parties at local venues, and many are parties held in the Social Hall of our synagogue. Overall, our style is to acknowledge this wonderful occasion in a balanced manner, understanding that the most important part of the celebration is to be together with friends and family. To learn more about starting your child on the journey toward Bar/Bat Mitzvah, contact the CBSRZ office. Learn more about Kivvun, our educational programs for youth. Engaged? Mazal tov! A Jewish wedding is a public affirmation of love and commitment, and most of all, an expression of pure joy! Rabbi Bellows is happy to discuss your thoughts about creating a Jewish ceremony that will honor both partners and their respective families. She officiates at weddings for members and for the grown children of members. The Rabbi performs weddings for straight and LGBT couples. She also officiates at weddings where both members of the couple are Jewish, and, under certain circumstances, at weddings where one member of the couple is not Jewish. Please contact the CBSRZ office if there is a wedding in your future. One of the primary purposes of a Jewish community is to support each other in times of loss. Rabbi Bellows and our Chesed Committee are here to shepherd you through the days, months and years following a loss. Whether you need to discuss end-of-life issues, plan a funeral service, or make arrangements for shiva, we are here for you. If you have experienced a death of a loved one, or if a death is imminent, please call the CBSRZ office at 860.526.8920. Conversion to Judaism is a challenging and powerful process. We welcome all who seek spiritual meaning and connection in their lives to explore the gifts that a Jewish life has to offer. We periodically hold introductory Judaism classes, including Taste of Judaism, a three session course, and Introduction to Judaism, a more lengthy course of study, for anyone, Jewish or not, to explore the foundations of our religion and culture. The process of conversion involves taking an Introduction to Judaism class as well as working one on one with the Rabbi over the course of at least a year. For more information on the process, contact the CBSRZ office.